CYCLONE Idai has wrought “massive disaster” across southern Africa that could affect millions. The cyclone made landfall in Mozambique’s central port city of Beira on March 14, and cut the city off, trapping 500,000 people. 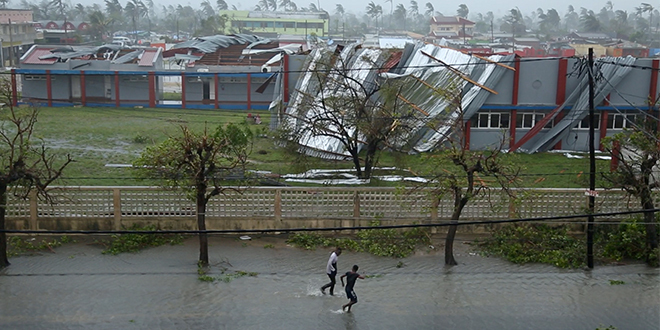 Cyclone Idai wreaked havoc – official estimates say it could leave almost a million people in destitution and millions more in dire circumstances. The city’s infrastructure was damaged and 90 per cent of the city was destroyed, according to Reuters. Mozambique president Filipe Nyusi said the death toll could exceed 1000 and called it “a humanitarian disaster of great proportion”. Images have surfaced of survivors clutching to rooftops and rivers of soupy floodwater running through the city, past the muddy shells of homes and workplaces. The storm system later moved to Malawi and Zimbabwe soon after destroying Beira, spreading to other parts of Mozambique. 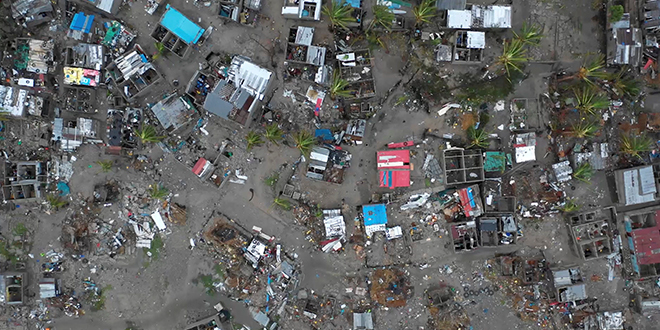 Carnage: An aerial view taken March 19, shows destruction after a Cyclone Idai in Beira, Mozambique. Bishops in Malawi, Mozambique and other African nations are calling for prayers and humanitarian aid. Solwezi Bishop Charles Kasonde expressed profound sorrow after hearing of the tragic events. “I pray for encouragement to all those involved in rescue operations and humanitarian assistance that they may not tire of supporting their brothers and sisters who need them most during this difficult time,” he said. But the impact of the cyclone in Mozambique was only part of a wider issue. World Food Program spokesman Herve Verhoosel said Mozambique was facing “a major humanitarian emergency that is getting bigger by the hour”. Concern is rising for Mozambique’s inner rural hinterland, where access remains near impossible – this will limit the ability for aid to be distributed. Across the three affected nations, WFP expects some 500,000 people will need access to their food assistance. United Nations Office for the Co-ordination of Humanitarian Affairs spokesman Jens Laerke said the disaster was immense. “We are talking about a massive disaster right now where hundreds of thousands – in the millions of people – (are) potentially affected,” he said. The Chimanimani district, in Zimbabwe, which is home to 1300 people, was cut off by torrential rains and winds of up to 170km/hr. The winds swept away roads, homes and bridges and knocked out power and communication lines. In Malawi, the government declared a state of emergency after more than 50 people died. Hundreds of thousands more were displaced.